When the atrocity known as the Bipartisan Budget Act of 2018 passed – lifting the budget caps by a jaw-dropping $300 billion over two years – there was one silver lining within. Section 30442 established the Joint Select Committee on Budget and Appropriations Process Reform, a bicameral, bipartisan 16-member committee tasked with proposing significant reforms to the broken budget process. Congress has not successfully passed a budget resolution and all 12 appropriations bills on time since 1995. Not only is the process broken, but the results are abysmal too. Deficits are soon to be over $1 trillion annually and our debt has already surpassed $21 trillion. The select committee was formed to fix this colossal mess. Nine months, five hearings, and countless hours of deliberation later – the working group came up essentially empty. And how the markup played out exemplifies why not only this group fell short – but why Congress continually fails to solve just about anything. While bipartisan cooperation was woven into just about every panel member’s speech, partisanship won the day during just about every action. Nine months, five hearings, and countless hours of deliberation later – the working group came up essentially empty. DC is one big expensive power struggle. In this power struggle, budget reform and deficit reduction are secondary to partisan advantage. And it showed in nearly every proposal that was voted on during the Joint Select Committee markup yesterday. Let’s start with what the group did agree to. They decided to make budget resolutions, that set the top-line numbers for discretionary spending, a two-year product instead of a one-year product. Appropriations bills that actually spend the tax dollars will still be done on an annual basis. What does this do? It puts into law what they have already been doing lately. Positive? Sure. Transformative? Hardly. The agreed upon product would also change some rules for the Budget Committee membership and change a few dates when data is due from the administration. All small potatoes. It’s like a town where the flood waters are rising and the dam is about to break deciding to change how often to elect the mayor and who is eligible to serve on the safety inspection board. Fortunately, this was supposed to be just the starting place and the 14 other members of the committee could offer amendments that would be adopted during yesterday’s markup. What transpired was a return to what Congressmen do best, put on their blue and red jerseys and partisan their way to no results. 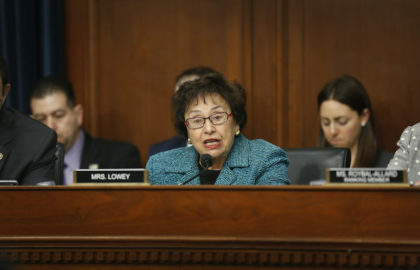 The hearing got off to an auspicious start when the Democratic Co-Chairman Nita Lowey (D-NY) said in her opening statement that proposals should not worsen our fiscal position right before saying that there should not be any budget caps or a debt ceiling – wishing away the only two budgets restraints in current law. Don’t worry, Republicans would also have their share of contradictions by time the markup wrapped up. Senator Schatz (D-HI) proposed including the $1.7 trillion in annual tax expenditures in the budget resolution, a simple but important information gathering matter. The amendment was tanked by a few Republicans – presumably to protect these oft-narrowly tailored and special interest perks from more transparency and oversight. It’s puzzling to figure out why some members think it’s different when the Treasury gives tax dollars for specific purposes is treated different than when the Treasury does not collect tax dollars for specific purposes. The net effect on the budget is the same. We’re off to a bad start. Senator Perdue (R-GA) offered an amendment that would change the Senate votes required to pass a budget resolution to 60 – to make it the same as the funding bills and all other legislation that passes the body. In his imminently reasonably analysis, Senator Perdue doesn’t think it makes since for a party to ram through a partisan budget at 50 votes when it takes 60 votes to actually fulfill the spending. The earlier in the process you get bipartisan agreement, the earlier you can legitimately start debating and passing spending bills. This amendment failed 3-12. Why? Members put on their partisan hats and remembered that they could never use reconciliation on a single-party basis again if it takes 60 votes in the Senate to pass a budget resolution. This is a preview of what’s to come. Senator Perdue also offered an amendment to get rid of the vote-a-rama, the asinine Senate process that ends every budget resolution debate with unlimited symbolic non-binding votes that can go late into the night. It failed due to Democratic opposition. Not because they like the vote-a-rama, Senator Whitehouse (D-RI) went on the record abhorring it, but because they are worried that their leader Senator Chuck Schumer (D-NY) would still want it at his disposal. Half of his caucus is running for President, so symbolic campaign votes may be useful next year. Partisanship for the win. There was then a series of amendments pertaining to reconciliation – the powerful procedure that can bypass the Senate 60-vote filibuster under special rules. 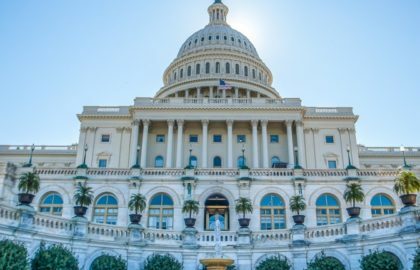 While reconciliation was originally intended to be a deficit reduction tool, the rules do not actually require a reconciliation bill to reduce the deficit within the 10-year window. Republicans used this to pass $1.5 trillion in revenue reducing tax cuts last Congress and Democrats used it to squeeze through the rest of the Affordable Care Act after Senator Scott Brown’s surprise election cost them a filibuster-proof majority in 2010. Again, there was apparent bipartisan agreement that reconciliation should be used to reduce deficits rather than to be manipulated into ramming through partisan budget busting measures. But when two competing proposals to make sure that reconciliation cannot add to the deficits, they both failed along partisan lines. Status quo remains. But guess what reconciliation provision did gain unanimous support? The ability to use the tool every year rather than every time there is a budget resolution (which under the proposed mark would be every other year). Rather than neutering the reconciliation tool’s powers, both parties agreed that they want to be able to deploy it with frequency – undoubtedly foreseeing their team controlling the switch in the near future. The annual reconciliation and a few nothing-burger amendments were the only ones to receive enough support for adoption, revealing why the base proposal was likely so minuscule in the first place. During an exchange about whether there should be a permanent procedure to consider deficit reduction every year (the amendment failed), Rep. Yarmouth (D-KY) pointed out that procedural mechanisms will never be a substitute for the will of the body. Nail meets head. Every single person on the committee acknowledges the deep and persistent problems with our federal budget. Yet, there was not enough will to put the future of the country over the immediacy of the party. There was not enough will to put the future of the country over the immediacy of the party. The markup concluded on both a low and a high. The Republican and Democratic Co-Chairs of the Joint Select Committee divulged that their proposals will go nowhere unless they get the approval of Senate Leaders McConnell and Schumer. Think about that. Sixteen members can work in a bipartisan basis to put together a reform package and if a member from Kentucky or a member from New York objects – than it cannot pass. The dirty secret is that leadership loves the current broken process that lets them put together the funding bills in their offices rather than through a more regular decentralized process. The budget reform panel catering to the leadership-centric wishes will only ensure that leadership chokepoints will continue to be a key to the process. But the high point is that the markup is not over yet. Members will reconvene on November 27th to consider additional amendments. 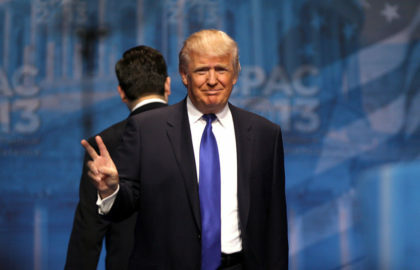 Hopefully, substantive changes like making the debt limit a legitimate debt reduction target rather than an intermittent crisis point, establishing automatic CR’s to prevent needless and disruptive government shutdowns, and putting in place incentives that will bake responsible governance into the budget process. Members of the select committee can still summon the will necessary to make major reforms to fix our broken budget system and tackle our careening federal finances. Absent that, the will of younger generations that are tired of partisan politics taking precedence to our economic futures will ultimately prevail in the ballot booths.